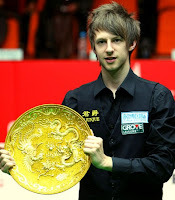 SNOOKER BAIZE BLOG: World Snooker Awards 2010/11 revealed - Higgins & Trump are the biggest winners! 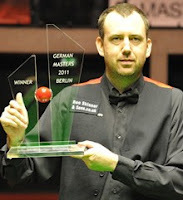 World Snooker Awards 2010/11 revealed - Higgins & Trump are the biggest winners! World Snooker Awards 2010/11 was held at the Dorchester Hotel in London on 7.5.2011. Top players including John Higgins, Mark Williams, Jimmy White attended the ceremony. John Higgins, Judd Trump are the biggest winners among the players, each scored two awards! 2010/2011 is Lisowski's first professional year. Lisowski made his debut TV appearance in Welsh Open 2011. Lisowski was so close to win, he just lost to John Higgins 3-4 in Round 1. Lisowski made another TV appearance in PTC Grand Final. He had a good result in PTC series, including reaching PTC3 Final. A new line-up for Hall of Fame by World Snooker, all of them have won mutiple world titles :) Thanks for their contribution to Snooker!